When job hunting, many potential employer`s first glimpse into who you are comes from your resume. 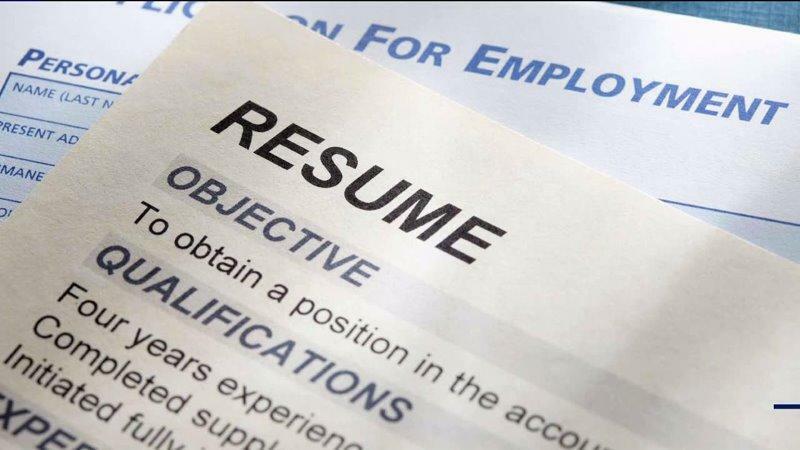 Here are a few tips on how to change your resume right now to improve your chances of landing that dream job. During a recent presentation for college students, this question came up: "If I have applied to at least 20 jobs, what should I do when a recruiter calls about my application, and I have no idea what position they are calling about?" Managing the job search process in 2016 can be tricky. It seems that every company and every social media site has an online method to submit your resume, many roles sound very similar and company names aren't even listed with some postings. To add to the complication, most firms do not have a method to confirm that your resume was received or a process to alert applicants when a role has been filled. And finally, some of the largest and most desirable employers have a habit of contacting potential candidates weeks, months or sometimes a year after a resume was submitted. To make a great impression when you are often flying blind requires some strategy. Here are some tips for successful job search management. 1. Document. Once you apply to a role or forward your resume to any potential employer, record what you did. The easiest way to do this is to create a spreadsheet with the following columns: company, contact name, role, date applied, source (how you discovered the opening), results and follow-up items. This spreadsheet should be your constant companion while searching. It allows you to quickly recall information if an unexpected recruiter calls you. It tells you if you really have applied to "a million places" or your five actual applications just felt exponentially greater. It can be a reminder to follow up on openings if you haven't heard anything and to check to see if new, potentially better-matched positions have been posted at desired companies. If you keep track of "follow-up items," you have a legitimate reason for a second email. You could write something like this: "Dear So-and-So, I hope all is well. In our previous conversation, you had mentioned that May was Awesome Company's busy season. I would welcome the opportunity to discuss how my background would be an ideal fit for your customer support role to assist with the increased volume of customer needs in the late spring. Please let me know if I can provide more information or answer any questions about my skills." It is impressive (and often effective) to send a well-crafted and well-timed follow-up email. Frequently, hiring is not about finding the perfect person, but rather the best combination of skills and personality to match the demand you have right now. A tracking system can aid in staying on top of proactive opportunities to generate interest in your background. 2. Fake it -- professionally and strategically, of course. Now that you have documentation established, it is time to master the art of sounding prepared when you are actually clueless. Back to the original dilemma: What do you do when a recruiter calls, and you don't know the job or company from which they are calling? If you can professionally answer an inbound call and be attentive, take the call. The benefit of taking a call as it comes in is that busy recruiters often keep calling through their list of qualified candidates until they fill any available prescreening or interview slots. Letting a call go to voicemail may result in an opportunity for the next candidate in the resume pile. Experienced recruiters should give you an introduction that jogs your memory of the role and company. However, if you are still unsure, it is totally acceptable to say, "I am so glad you contacted me. I do not have easy access to my job search notes at this moment. Can you remind me of the position, so that I can speak more specifically about my relevant skills and interests?" If it is not displayed on your caller ID, it is an excellent idea to ask the caller if she can repeat or spell her name and her best contact number, just in case there's a phone issue or a dropped call. You will sound so much more professional when you follow up with "Cindy Smith from accounting" versus "Some lady from your company just called me about a job." 3. Look for the next step. If you receive an initial call, express your interest in continuing the process and ask about next steps. If you completed an in-person interview, thank the interviewer for her time, remind her of your continued interest and ask about next steps. Send thank-you notes (or emails) to each person you speak or meet with assuring them of your interest in the next steps. In short, find some "next steps." Document the timing of each interaction and update the "follow-up items" column. Then, make sure you act on those items. Imagine if you were a farmer and just threw your seeds haphazardly on your property. If you don't know where the seeds are sown, you have no way to ensure the most valuable crops get ample sun, fertilizer and protection from pests. The farmer who waits to see what happens has done nothing to control the outcome of his planting. The same is true in undertaking a career search. One of the greatest errors in job searching is the lack of follow up after sending in a resume. Maybe this is because job seekers have no record of where they applied. Maybe it is because they are afraid of what to say in a follow-up call. Regardless of the reservations, tracking your actions and following up is a critical part of a successful job search. If you find a way to be politely persistent, you will distinguish yourself and have a better chance of achieving your goals more quickly.